Everyone loves (or mocks) a good standing desk, but most of us don’t love the price. Adjustable sit/stand desks and bolt-on apparatus I’ve seen cost up to $1000 to $5000. I have a feeling if you get something on the cheap end of that scale, you probably will regret it. There are less expensive ones that just sit on your desk, but they seem like abominations I would hate to use. 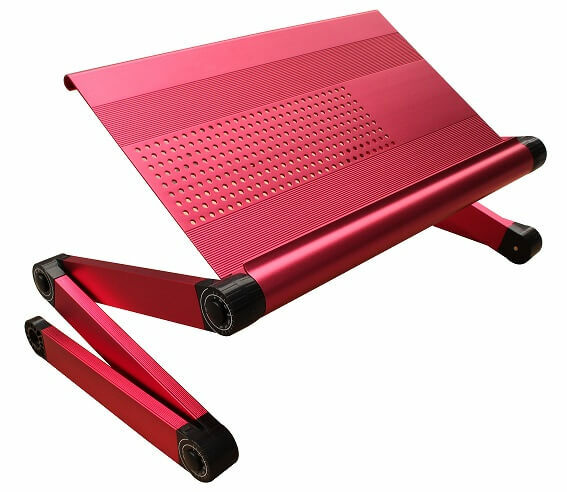 As an alternative I won’t regret because it’s cheap and minimalistic, I’ve been using a simple but effective adjustable laptop holder for a few years. It’s easy to place on a desktop or counter. At this point there are a few of them at work and one at home. I keep recommending them to friends so I might as well just post it here too. I prefer the raspberry pink, obviously, but it also comes in black and a couple other colors if you don’t like that. I’m also reasonably sure that I’ve bought a few different brands of similar items and they’re all probably from the same original manufacturer. Here’s one alternative brand and here’s another Furinno model. I was worried at first that it wouldn’t be solid enough. I hate when things vibrate around and jiggle. Interestingly, it works great for a laptop, though, because I rest my hands on the computer and that stabilizes it. I use it “upside down” with the curled lip toward me. The way it’s meant to be used (and the way it’s pictured) makes my wrists go into an awkward position. This doesn’t work well for laptops, but is good for reading books and so on. It’s also great for reading in bed and holding a tablet. Really quite multipurpose. You can configure it very flexibly. 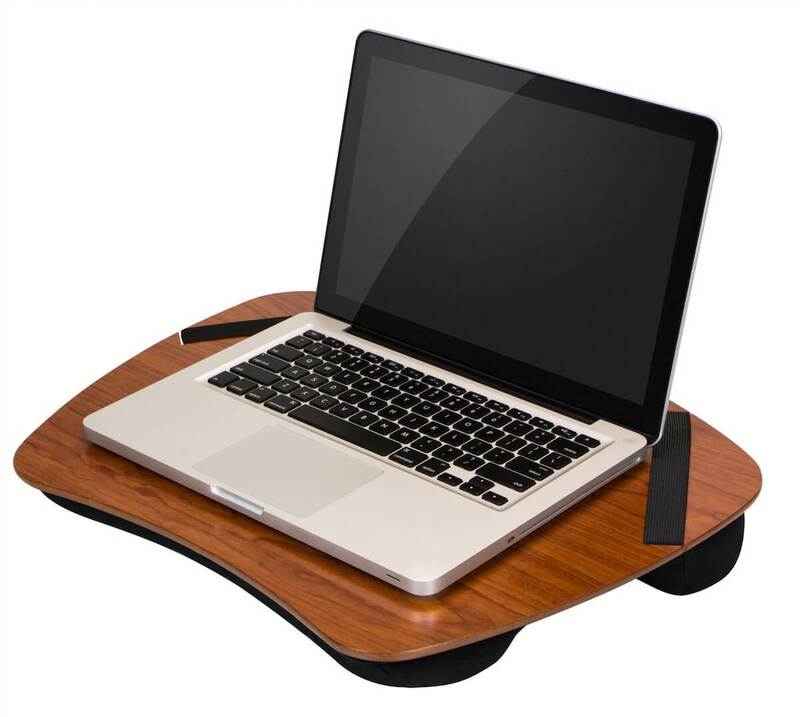 Or use it to elevate your laptop to the same height as your monitor while placed on your desk, to use multiple monitors side by side. I haven’t accessorized but I’m tempted to get one of these mousepads. I’m resisting. Related: I also use a lap desk probably 2-3 hours per day for reading, writing, and sitting with a laptop. I prefer wooden ones with curved edges. Plastic ones warp and feel bad to rest my hands on. Here’s the one I have.